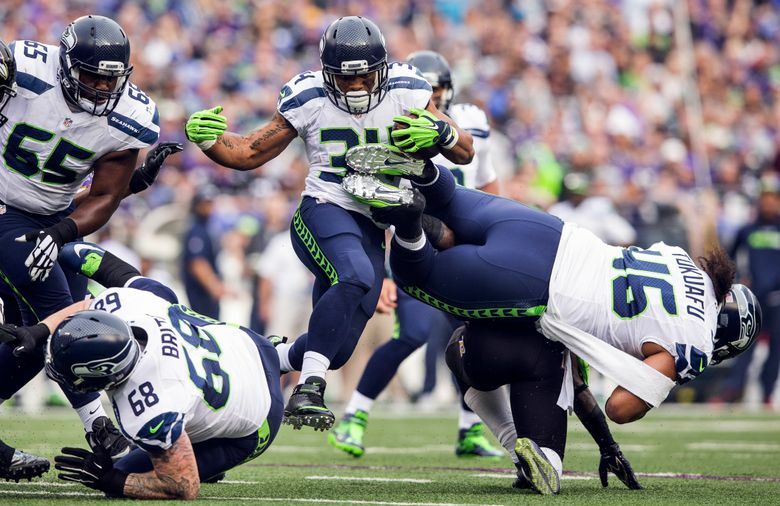 Thomas Rawls practiced again on Sunday beginning what should be a hard week of work as he attempts to get ready for the regular season opener Sept. 11. As the team had promised, Seahawks running back Thomas Rawls was a full participant in Sunday’s practice as he continues on his road to recovery from off-season surgery to repair a broken and dislocated ankle. Seahawks general manager John Schneider has said the team hopes to get Rawls into the fourth preseason game at Oakland on Sept. 1, though it remains unclear if or when Rawls will play in the preseason. Regardless of what he does in the preseason, though, Rawls remains on track to be ready for the regular season opener Sept. 11, head coach Pete Carroll said Sunday. Carroll said Rawls still has some days where he “feels a little stiff’’ after having practiced the day before. “We are going to work him really hard the next couple of weeks to make sure he is ready and he will have made up the time he didn’t get earlier (in camp),’’ Carroll said. Carroll said the emergence of Christine Michael makes it easier for the Seahawks to be patient with Rawls. Carroll said rookie tight end Nick Vannett suffered a high ankle sprain Thursday and it is unclear when he will return but that he is recovering quickly. “He’s surprisingly feeling pretty good,’’ Carroll said of Vannett, who did not practice Sunday. “He got a pretty good sprain, it looked like from all the tests, but he’s responded really well. I don’t know what that means, but the trainers are really pleased about that.” With Vannett out and Graham remaining limited, the Seahawks tried rookie Tanner McEvoy some at tight end Sunday.